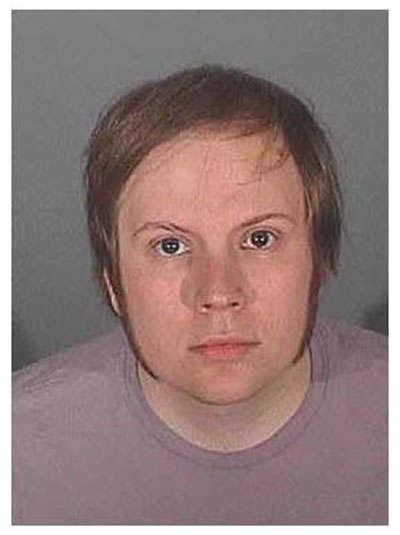 Fall Out Boy singer Patrick Stump was arrested in August 2009 after a traffic stop by Los Angeles cops revealed that the musician had an outstanding warrant. Stump, 25, was popped for failing to answer a previous charge of driving without a valid license, which was filed against him in Beverly Hills in 2007. Stump spent several hours in custody before being released after posting $15,000 bail (and posing for this Los Angeles County Sheriff's Department mug shot). Submitted by rcmayo on Fri, 2011-06-03 09:22. Good thing pete is the only talent in the band which gave you money. Poser.